I believe in trust and relationships, but it’s a luxury problem. Here in the real world, the pressure’s on. I don’t have time to do all that nicey-nice stuff, I’ve got to hit my numbers. And even if I did have that kind of time, my clients don’t. The days of easy-going ‘what’s keeping you up at night’ conversations are over – they’ve got as much pressure as I do, and maybe more. I just don’t have time to build trust-based relationships. Hopefully, someday I will. But with that attitude, that day will never come. Because trust-based relationships don’t come when you’ve got plenty of time – they’re forged when you don’t have time, and have to trust someone. The whole relationships-vs.-metrics debate is based on four false beliefs. When will you get rid of them? Maybe you’re old enough to remember an old ad for Fram Oil Filters: “You can pay me now – or you can pay me later.” It stuck because it rang very true – if you refused to pay for a cheap oil filter, you’d end up paying for much more expensive engine repairs later. As Aristotle said, you become what you practice. If you never take time for relationships, if all you do is transact, then you become a transactor. And nobody suddenly decides one day out of the blue that they really want to have a trust-based relationship with someone who’s been transacting with them since forever. The truth is, a little time taken now, up front, results in far more efficient use of time down the road – even just next month. 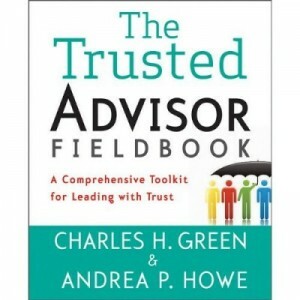 Trust-based relationships aren’t just more effective, they’re more timely and less costly. You do have the time; you’re just constantly refusing to invest it for returns in future time. How do you know? Because they told you so? Get real. What client is about to tell you they’re not busy? They want to control their time with you, not give control over to you. And the same logic applies: our customers are as short-sighted as we are, constantly failing to invest a bit of time up front for future gains of time. So they tell you they don’t have the time, and you believe it, and the two of you race off so as to cut the elapsed time of your transaction. And then do it all over again the next time you meet. They have as much time or as little time as you do; and if neither of you breaks the vicious cycle, the cycle will stay unbroken. Who should break it? That’s easy – you should. 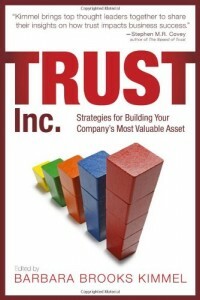 The truth is, people form strong impressions of trust and relationship very, very quickly. Initial impressions get formed in much less than a second. Because trusted relationships are step functions, not continuous curves. They are based on events, moments, instances. Trust gets created in those moments. If you never let yourself be open to those moments, it will never happen. Trust doesn’t take time. The only sense in which it does is the creation of a track record. All qualitative aspects of trust take virtually no time at all. Wrong. Relationships are built on quality, not quantity. It’s true with your dog. It’s true with your five-year old child. And it’s equally true with your client. The quality of your time matters far more than the quantity. An hour on the golf course or hoisting a beer doesn’t hold a candle to sincerely asking a difficult question, and conveying to your client that you care about the answer, and that you’re a safe haven in discussing it. A lot of the “I don’t have time for relationships” line is frankly a cover-up for fear of customer intimacy. Invariably, the workshop participants who tell me they haven’t got time are the same workshop participants who tell me that customer intimacy is too risky, and potentially unprofessional. Meanwhile, their compatriots who understand the qualitative basis for relationships are selling circles around them. And being busy’s got little to do with it.